The Armed Forces of the Republic of Poland has ordered 40 Orlik PGZ-19R tactical short-range unmanned aerial vehicles (UAV) for a range of support operations. The deal, announced by Polish Ministry of Defense on 30 November, is valued at approximately 789,7 mln zł ($209 million) and includes options for 20 Orlik PGZ-19R tactical short-range UAV. It is expected that the first unmanned aerial aircraft and simulators are scheduled to arrive to the Armed Forces of the Republic of Poland in 2021. The contract covers delivery of 8 Orlik tactical UAV complexes included almost 40 unmanned aerial aircraft. The complex consists of five PGZ-19R aircraft or “air vehicles” with sensors, a ground control station (GCS), and a primary satellite link communication suite. UAV is designed by WZL-2 (Wojskowe Zaklady Lotnicze) in partnership with PIT-Radwar as a reconnaissance vehicle for land forces. While WZL-2 is responsible for a vehicle and serves as a project leader and integrator, PIT-Radwar’s duties include works on a Ground Control Station. The Orlik PGZ-19R can transmit high-quality data in real-time and can operate in significant distances from a launching point. The PGZ-19 has a hybrid engine and is launched by a pneumatic take-off system. Its maximum take-off weight is between 80 and 90kg with a payload of 20 kilograms. 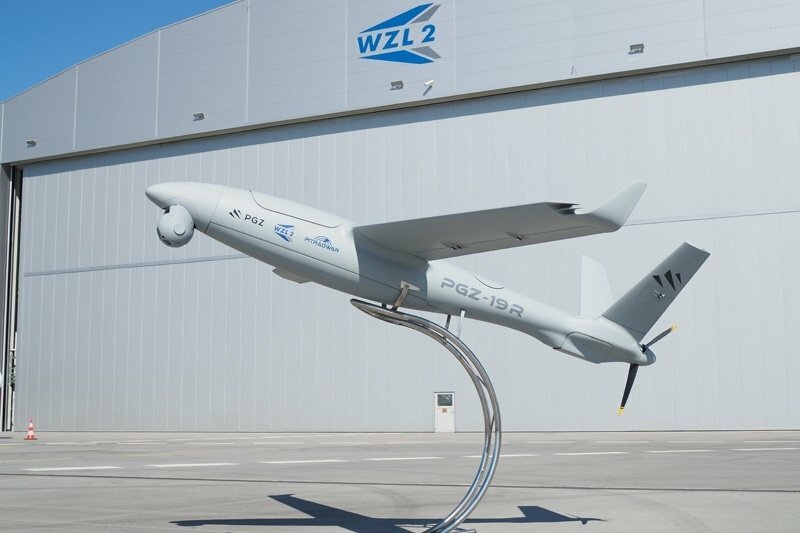 According to WZL-2, PGZ-19R’s cruising speed is between 120 and 180km/h and its operational range is up to 150 kilometers. It can stay airborne for up to 12 hours. Its declared service ceiling is 5,000 meters. PGZ-19’s wingspan is 5.25 meters, while its length is 3.1 meters.